In June 2003, Simon Sherry-Wood was one of seven strangers picked to live in a house on MTV's "The Real World: Paris." The gay Ireland native appeared on the show's 13th season -- but, unlike his costars, he never went on to compete on any of the Challenges. In the 11 years since his run on the show, Sherry-Wood moved to L.A., got seriously buff and started modeling. And now, he's returning to reality TV! Now 29, Simon joins the infamous Pit Crew for the upcoming season of "RuPaul's Drag Race" -- meaning he'll be walking around a gaggle of drag queens in nothing but a pair of briefs. He's not the only former reality star on the show this year either. "American Idol" alum Danny Noriega will actually be competing in Season 6 as his alter-ego Adore Delano. Noriega famously sparred with Simon Cowell during the show's seventh season back in 2008. 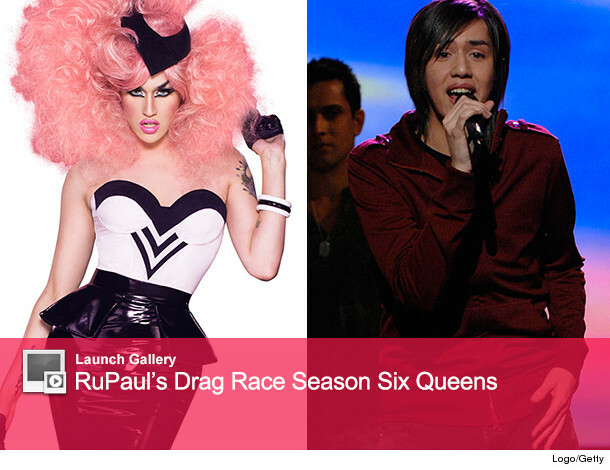 Check out the rest of the queens competing for the top slot in the gallery above. "RuPaul's Drag Race" Season 6 kicks off February 24 -- and we can't wait! Howard Stern Dresses in Drag for Christmas Card -- See the Hilarious Pic! "American Idol" Alum Danny Noriega to Compete on "RuPaul's Drag Race"